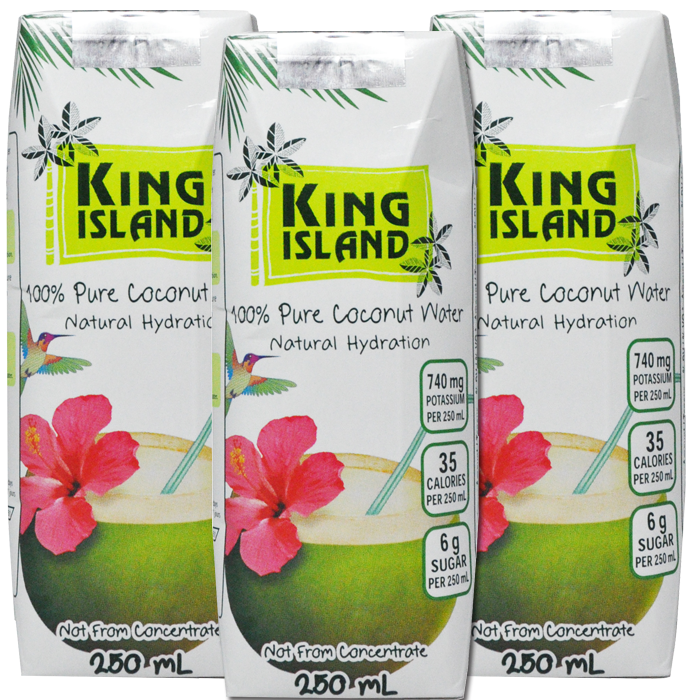 King Island coconut water is from young green coconuts in Thailand. Not from concentrate. No sugar added. No preservatives added. Fat free. Cholesterol free. Allergen free. Gluten free. Non-GMO Project Verified. Excellent source of potassium. Source of magnesium. The natural and refreshing way to rapid re-hydration. 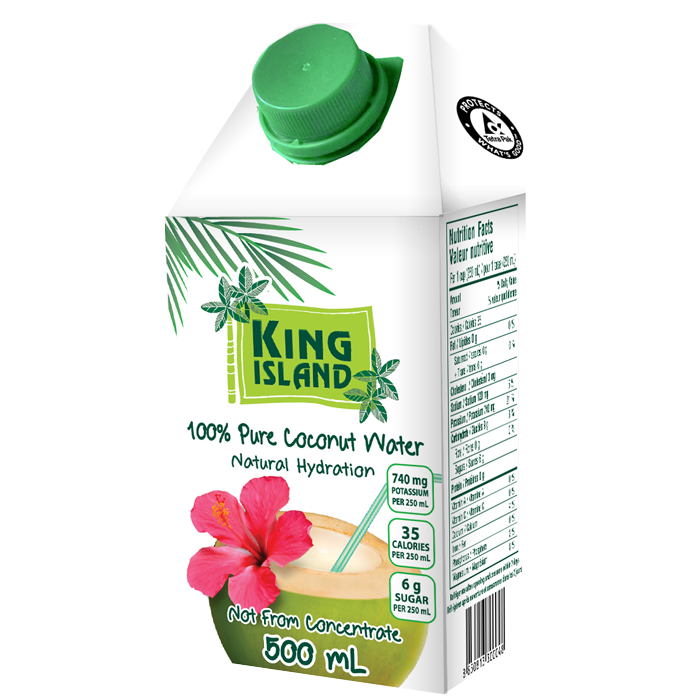 King Island coconut flower syrup is lovingly crafted from 100% coconut flower nectar tapped by hand. Unbleached and unrefined, it is the perfect sweetener for cooking, baking, excellent as a topping for pancakes or to simply sweeten your favorite beverage. No preservatives added. Cholesterol free. No artificial colors or flavors. Gluten free. Non-GMO Project Verified. King Island coconut chips are carefully selected from premium Thai coconuts. The nutritious coconut meat is lovingly sliced and toasted to perfection in small batches. The naturally sweet, buttery crunch of the coconut chips are simply delicious and irresistible. Our coconut chips are a healthy snack and a great topping for ice cream, yogurt, and salads. 100% Natural. Dairy free. Gluten free. Cholesterol free. Vegan. High in fibre. No preservatives added.